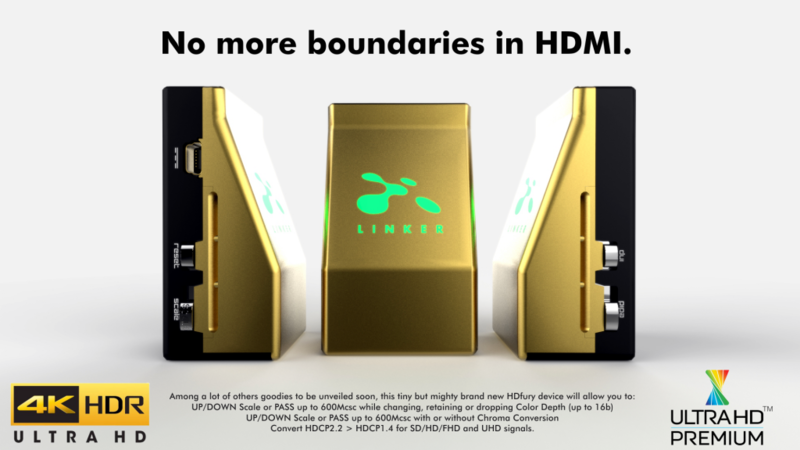 We are back with another disruptive device that will bring raw power in the palm of your hands, not only a perfect companion for HDfury Integral, It is capable of linking any HDMI/HDCP revision sources to any HDMI/HDCP revision sinks at their best capabilities on its own! Always and Guaranteed! Featuring Upscale, Downscale, Passthru and Bypass mode as well as Chroma Conversion and Color Depth modification on the fly at 8, 10 ,12 and 16bit for FHD, UHD and DCI 4096x2160p. 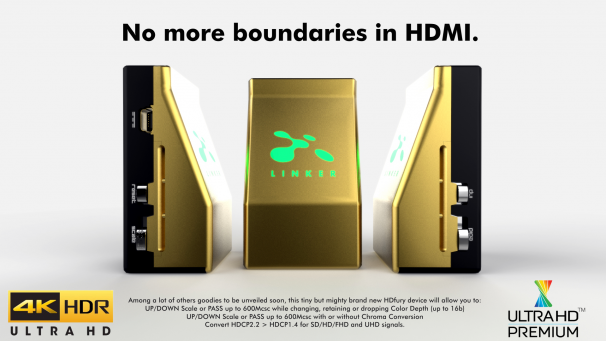 The HDfury Linker is also capable of injecting and extracting live Infoframe and HDR metadata at any resolution and in real time while keeping HDMI sound. To see how Linker compare with Integral, kindly visit this page.